(Updated) Gov. Palin: Happy Thanksgiving and may God continue to bless our country! 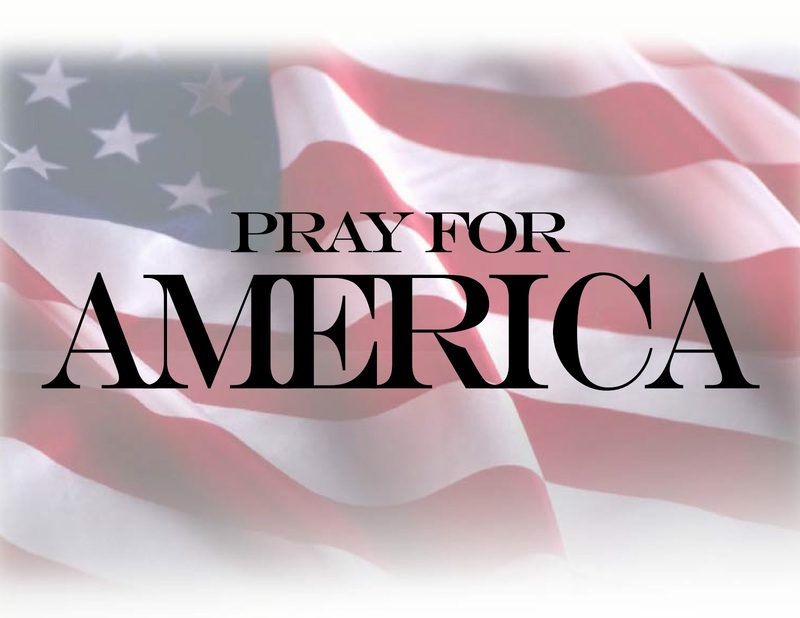 At a time when our nation is too often divided on the challenges facing us, it’s such a great blessing that we can all come together to remember just how blessed we are to be Americans. Thanksgiving is an opportunity to remind our children why our nation is exceptional. God has truly shed His grace on thee, America! Let’s take time today to express our gratitude for the providential hand that has always guided us to a better future. And remember to hug your loved ones and tell them how grateful you are for them. We can never do that too much. Happy Thanksgiving and may God continue to bless our country! We at SPIB would also like to wish all of our friends and readers a very blessed and happy Thanksgiving Day and weekend ahead. As we enjoy time with friends and family, let’s take time to remember that first Thanksgiving and why the Pilgrims came to America. Members of the Leyden congregation ultimately made the decision to leave Holland, but they were uncertain in choosing a new place for habitation. They could not return to England for the same reasons that had forced their exile into Holland twelve years before. It appears that English America was the closest possible substitute for Old England, and they would be free to worship as they saw fit. In their struggle for a new residence, many of the group expressed a new desire “of laying some good foundation . . . for the propagation and advancing the gospel of the kingdom of Christ in those remote parts of the world . . .” (Bradford 1981: 26). This notion was significant and remained a motivation for English emigration into New England for decades to come. Plymouth Colony founded in 1620 in what is now Massachusetts, was an early English colony in New England. It was founded by “Pilgrims”, who were members of a Puritan religious group known as the Separatists. It is most famous for introducing Thanksgiving and, more important, introducing self government into America through the “Mayflower Compact,” signed aboard their ship, the Mayflower. Plymouth Colony later merged with the Massachusetts Bay Colony to form the colony of Massachusetts. Plymouth holds a unique role in American history as the beginnings of the nation’s democratic culture through the Mayflower Compact. Rather than a commercial venture like Jamestown, its citizens sought freedom from religious persecution and a place to settle and worship God in a way they saw fit. The social and legal systems of the colony were closely tied to strong religious beliefs. Is Thanksgiving Rooted in a Biblical Festival? Why did the Pilgrims have this strong attraction to the Hebrew Scriptures? Is it a coincidence that the Pilgrims were the first successful colony in New England and were able to set their stamp on American culture and religion? Let’s explore these questions and see what history reveals. Few realize how solemnly and literally the Pilgrims took the Bible. Jewish sources in particular continue to note, although recognizing there is not a direct link between the two, the striking resemblance of the Thanksgiving celebration to the Feast of Tabernacles, which Scripture also calls the Feast of Ingathering. Here is one typical opinion: “Sukkot, the Jewish Feast of Tabernacles, celebrates the autumn harvest; a similarity to the Thanksgiving holiday observed in the United States which is not coincidental. Prior to making their way to the New World, the Pilgrims, themselves the victims of religious persecution, spent several years among Sephardic Jews in Holland. When they later celebrated the legendary first Thanksgiving, their conscious frame of reference was Sukkot” (“Sukkot ,”Cyber-Kitchen.com). “The festival also celebrates the harvest, coming, as it does, at summer’s end, so that it is a time of thanksgiving. (The Puritans, who took the Old Testament more seriously than most Christians, modeled the American holiday of Thanksgiving after Sukkot [the Hebrew name for the Feast of Tabernacles])” (1996, comment on John:7:2). This connection is not well known among most secular U.S. historians, but the Jews, who also arrived very early at the New England colonies, have kept track of this historical parallel. “As Leviticus 23 teaches,” explains Barney Kasdan, “Sukkot was to be a time of bringing in the latter harvest. It is, in other words, the Jewish ‘Thanksgiving.’ In fact, it is widely believed that the Puritan settlers, who were great students of the Hebrew Scriptures, based the first American Thanksgiving on Sukkot” ( God’s Appointed Times, 1993, p. 92). William Bradford, who became the first Pilgrim governor and proclaimed the first Thanksgiving celebration, used the Scriptures—both Old and New Testaments—for guidance in governing the colony. “Though it’s a uniquely American tradition,” adds a Jewish Web site, “the roots of Thanksgiving go back to ancient Israel. In a real sense, the Jews invented Thanksgiving. I count 28 references to the word thanksgiving in the King James Bible—all but six in the Old Testament. For the ancient children of Israel, thanksgiving was a time of feasting and fasting, of praising God, of singing songs. It was a rich celebration—and still is for observant Jews today. “In addition to proclaiming a day of thanksgiving, like the ancient Hebrews did before them, Bradford and his flock also praised God’s loving kindness, the famous refrain of Psalms 106 and 107 and Jewish liturgy (‘Give thanks to the Lord for He is good, for His kindness endures forever’)” (“Thanksgiving, The Puritans and Prayer,” shalomjerusalem.com/heritage). So let us remember that the Thanksgiving celebration by the Pilgrims followed a journey to America for religious freedom and “for the propagation and advancing the gospel of the kingdom of Christ in those remote parts of the world.” Our children need to know that America was founded on religious principles. They will not learn that in public schools today, so it is our responsibility to make certain that America’s religious heritage is not forgotten.